More than ever before, it is important for schools to be outward-facing; to work with other schools and organisations, in a climate of mutual challenge, to champion best practice and secure excellent achievements for all pupils. Together, we engage in moderation of children's work at every key stage; undertake training events for staff relating to key priorities and enjoy a variety of sporting events. Governors from across the partnership meet together to participate in joint training opportunities too. The headteachers in every school in the partnership believe strongly in the power of sector-led school improvement and carry out formal peer reviews. Each school receives one peer review per year. These reviews identify excellent practice within the partnership as well as areas to improve. Following reviews, the schools work together to support each other to provide the very best education possible for all of the children in the partnership. Our school is a member of the Kyra Teaching School Alliance. 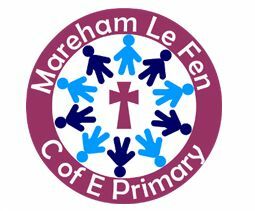 This is an alliance of nursery, infant, junior and primary schools across Lincolnshire and was established in 2012. The alliance has a strong ethos built on the vision of being ‘ambitious for children’ and collaboration is a cornerstone of Kyra’s work. We will harness our collective professionalism, expertise, and moral purpose, to ensure no one is left behind, and every school and individual in our partnership thrives – to the benefit of all children. The schools within the alliance work together to ensure that all can contribute to the aims of the alliance and in turn are able to collaborate locally to continuously improve their practice and outcomes for children. Our school, like almost all schools in the county, is a member of the Lincolnshire Learning Partnership (LLP), a sector-led initiative bringing together headteachers and other educational professionals to promote improvement and share best practices in all schools across Lincolnshire. A board of headteachers oversees and manages the development of this Lincolnshire-wide, sector-led school improvement initiative which places schools at the heart of enhancing the educational outcomes for children and young people.